Material: Waterproof polyester, fiberglass ribs. Size: 48.8 inches canopy, length unopened: 31.50 inches. 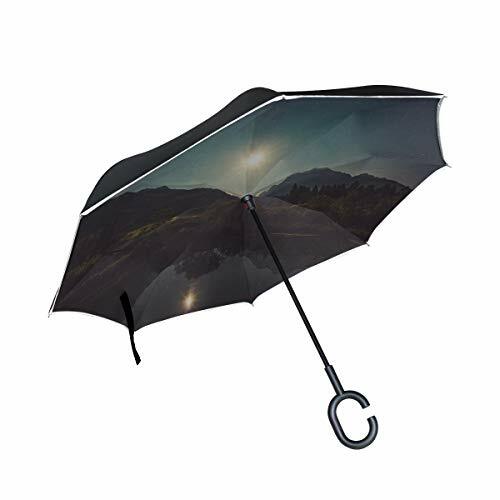 Function: Double layer polyester and durable umbrella bones make it very strong, the strong waterproof and windproof rain umbrella. Design: C-shaped handle can release one of your hands, it is convenient for you to do other important things. Note: You can keep the item as a gift to your friend. If you have any questions about this product by RH Studio, contact us by completing and submitting the form below. If you are looking for a specif part number, please include it with your message.